Margot Parker comments on womens rights. 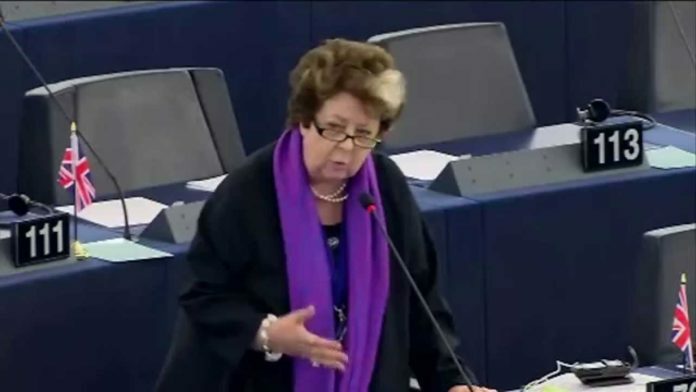 MARGOT Parker MEP has praised the “astonishing sacrifices” the suffragettes took in their fight to get women the vote. The East Midlands MEP now hopes – on the 100th anniversary of some women getting the vote – that more young women will enter the world of politics. She said: “The heroism of those women 100 years ago and the astonishing sacrifices they made to gain what they believed in and what is right, is being rightly celebrated this week. “It has been 100 years since The Representation of the People Act started the process of women being given the vote but even now, in 2018, there is more scope for equality. “We have two women Prime Ministers and we have seen more women enter politics from the grass roots up to Westminster. “But I would like to see a kinder politics, without some of the nastiness and vitriol we see, not only on social networking but in the House of Commons itself. Mrs Parker said she would also like the Government to look at pardoning those women jailed in their fight for quality and justice. She said: “Those women 100 years ago were incredibly brave and started the journey towards equality. It is time for a pardon.” The 1918 Act gave women over 30 and ‘of property’ the right to vote.